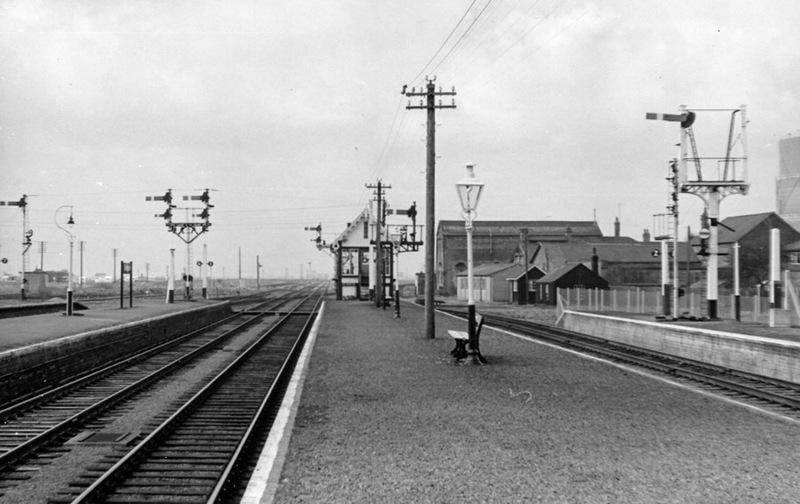 The approach to Skegness looking away from the station down the branch. 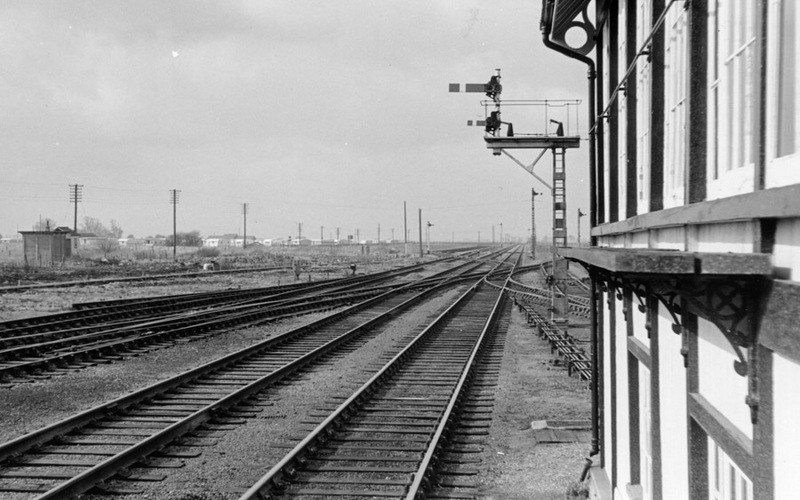 View from train entering Skegness station showing the rationalisation of the trackwork. 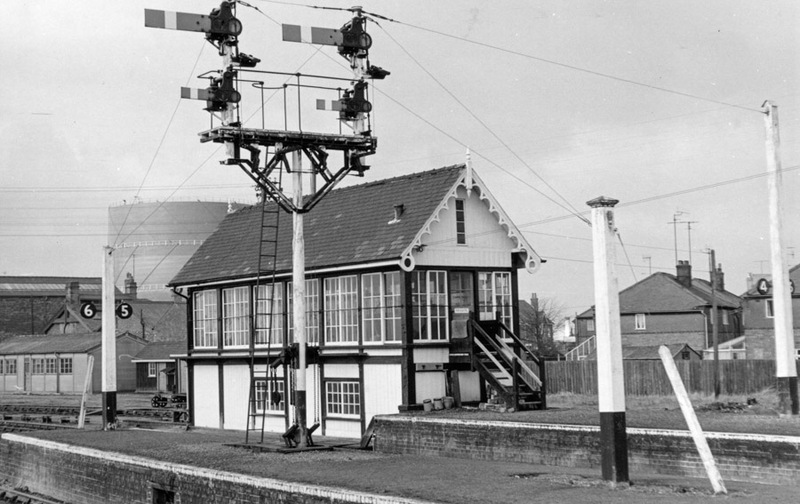 Skegness signalbox on right looking down branch. 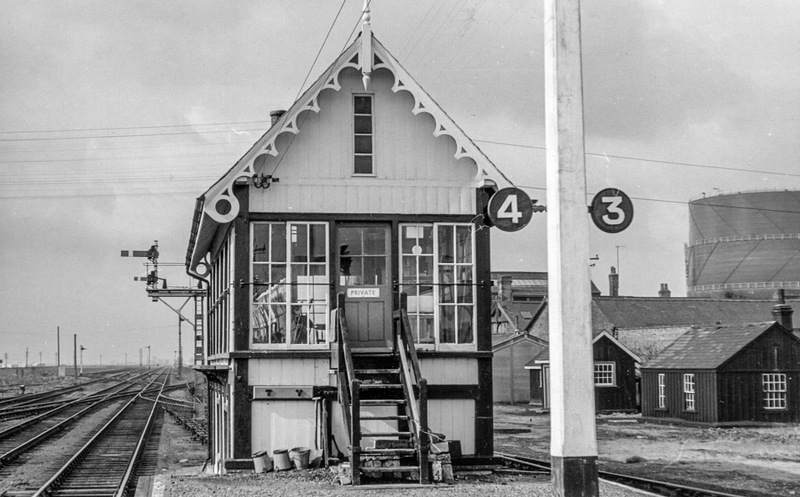 The signalbox situated on the platform ends. 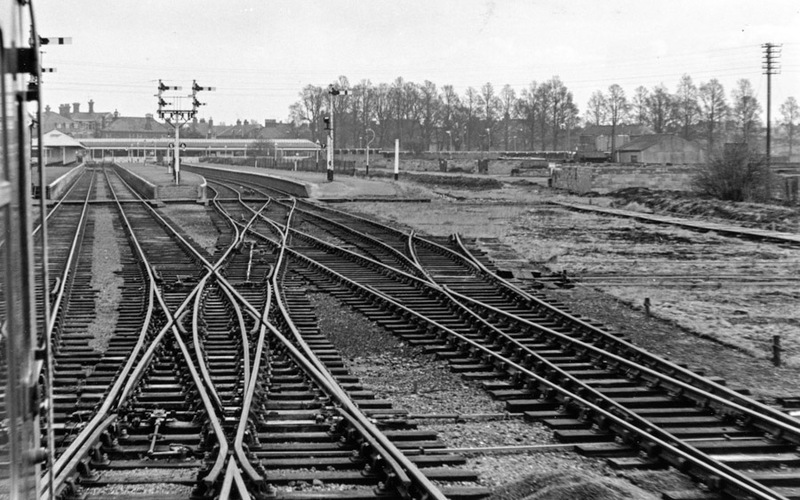 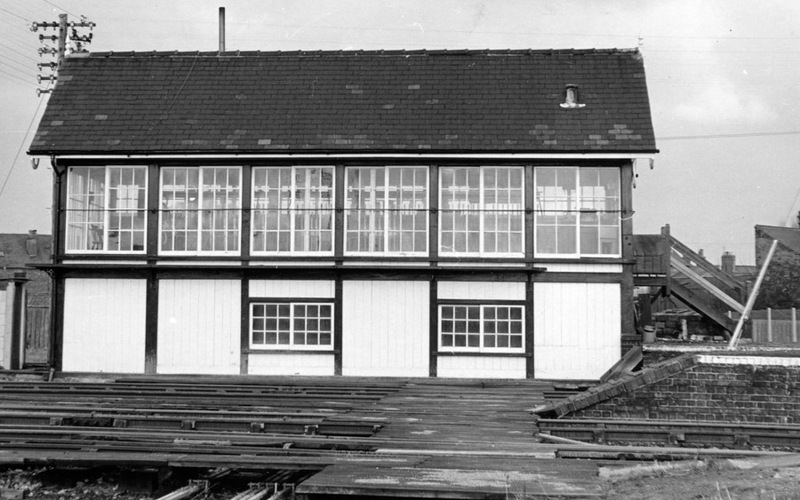 A large signalbox was necessary for the once complex layout of the station. 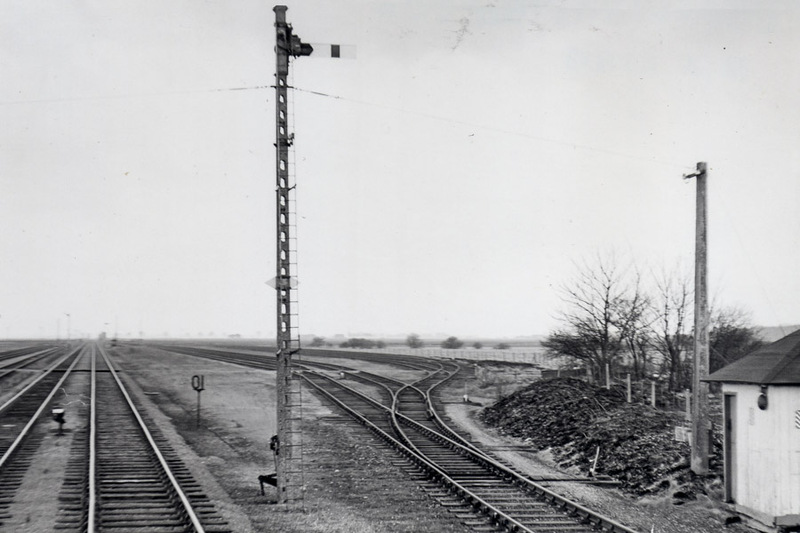 Still a good collection of semaphore signals here. 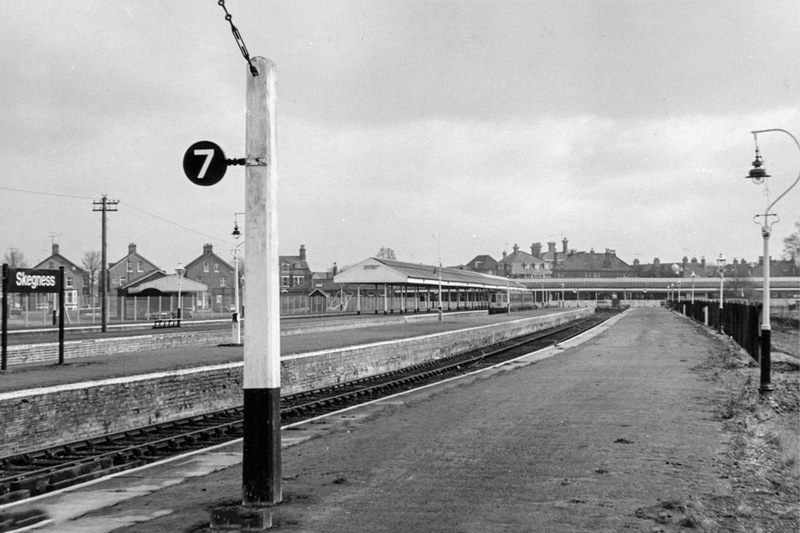 Looking down the long deserted platforms. 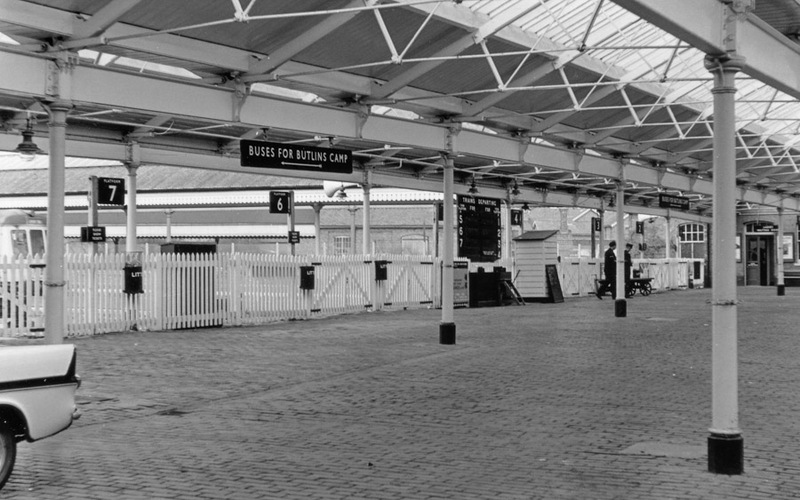 A view from platform 7 with a 2 car dmu in platform 4. 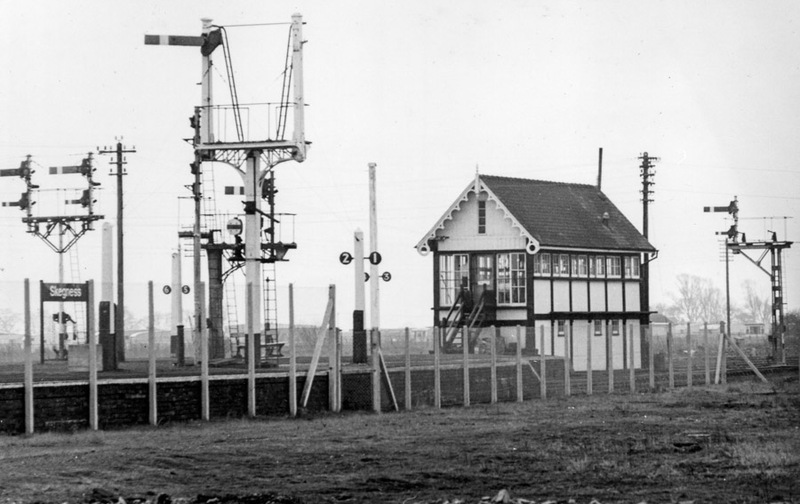 The signalbox with Skegness gasworks in the rear. 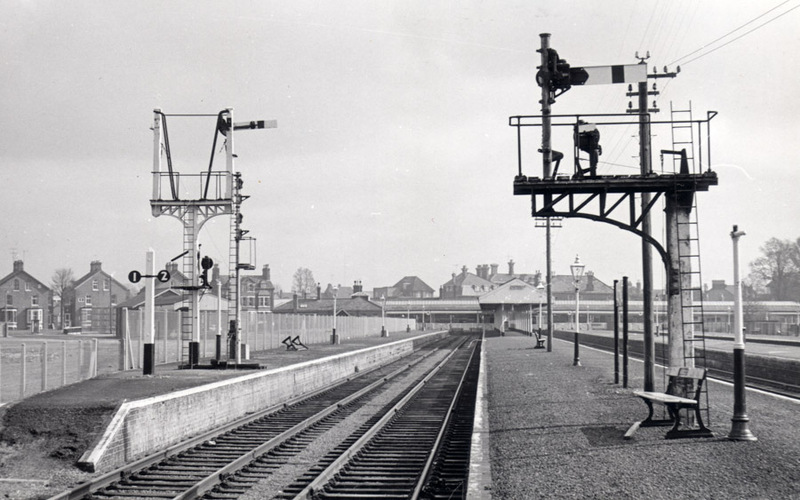 Another view of the multitude of semaphores on a tidy station. 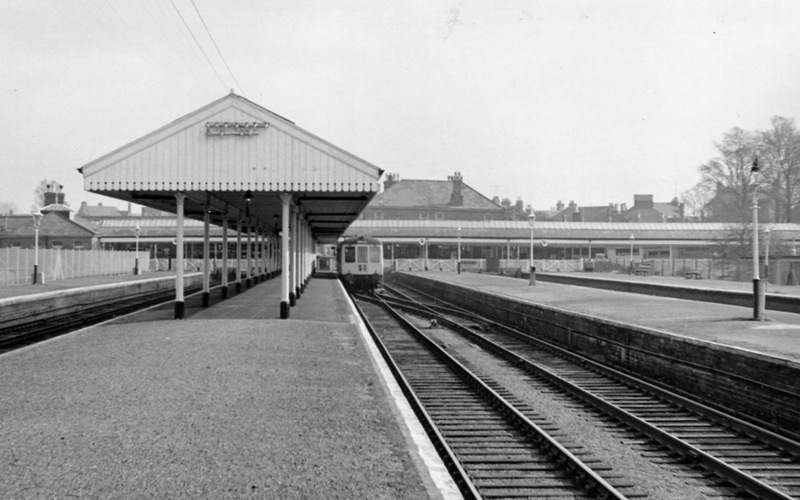 Dmu in platform which still has a loco release road at this time. 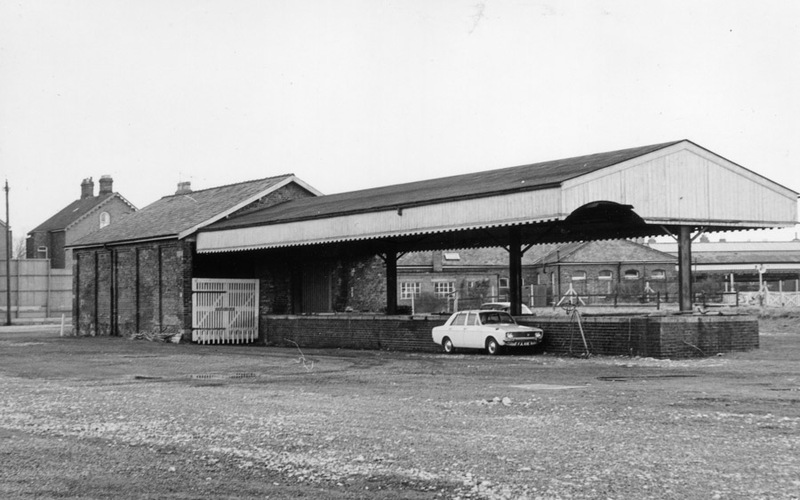 Goods shed and loading bay disconnected. 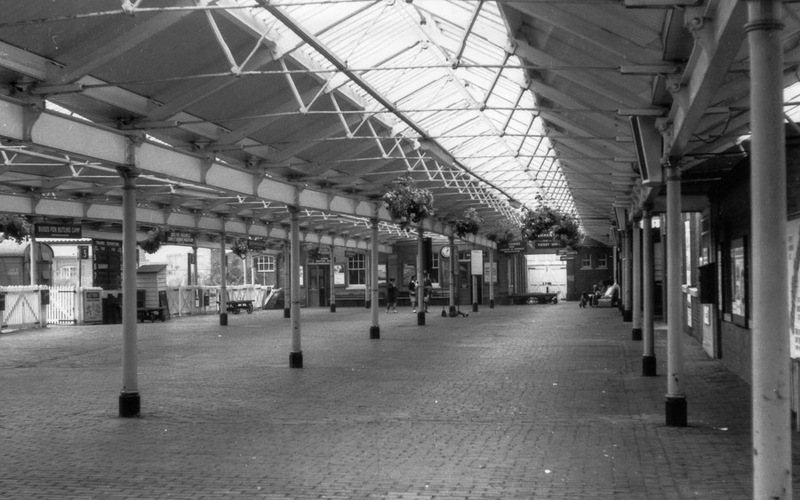 .... would have been capable of sheltering large crowds - I always remember it as being very draughty! 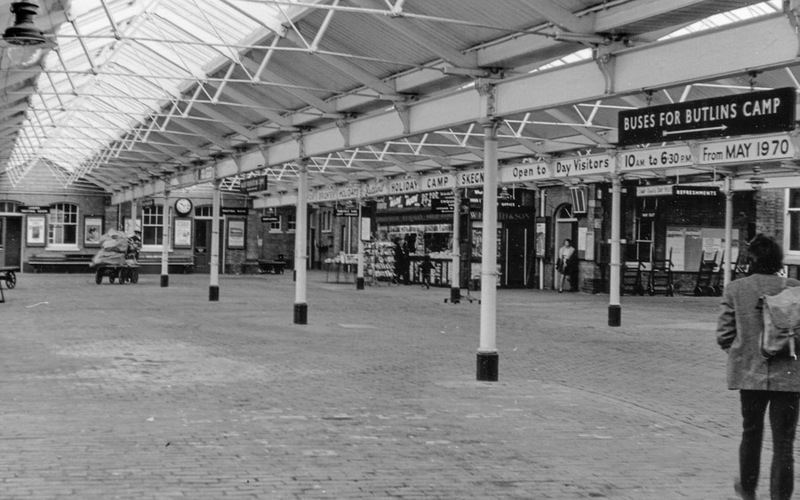 The station still had a WH Smith kiosk in 1970. 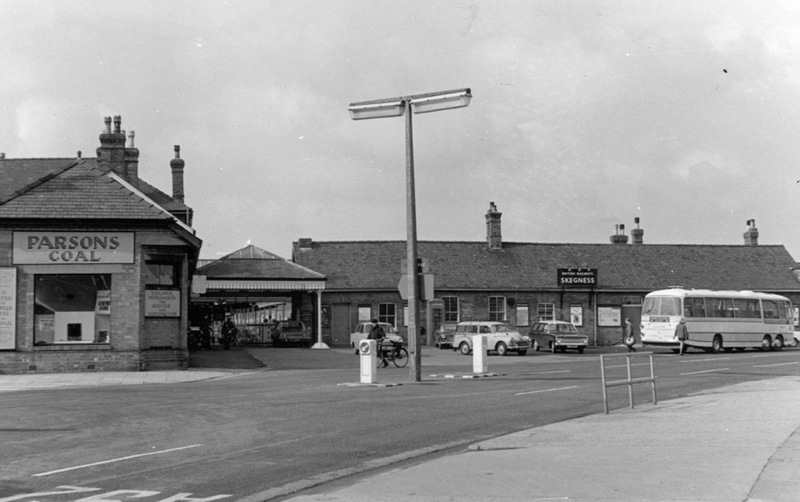 The exterior of the station in 1970. 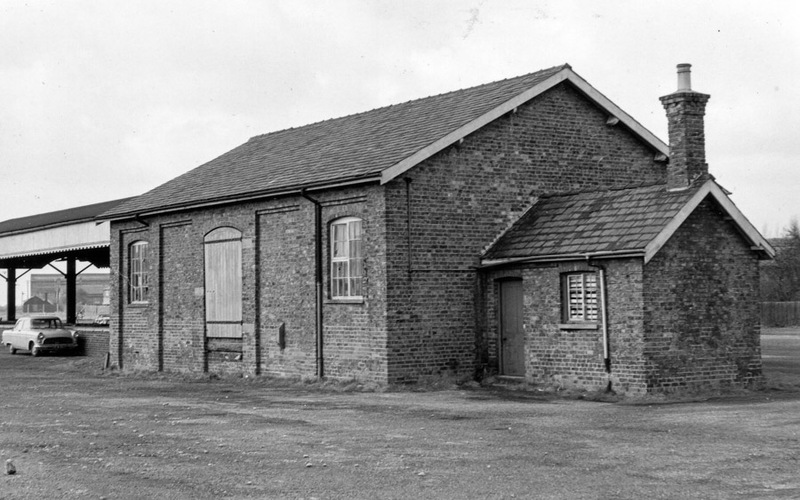 The coal office and station house has since been demolished.